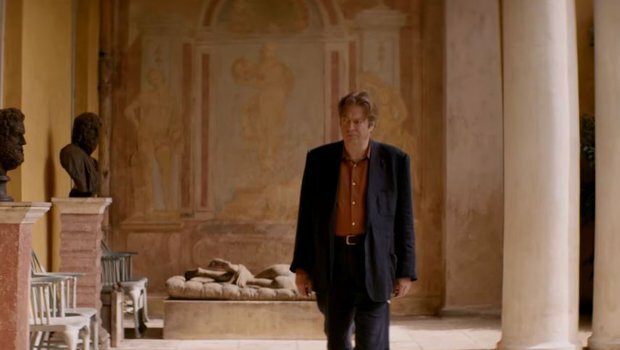 A washed-up alcoholic poet working as a (soon-to-be-fired) theatre critic may not be the best person to investigate a series of potential miracles at an English stately home in Norfolk, but that’s the situation Ted Wallace (Allam) finds himself in after being approached by his goddaughter, Jane (Berrington), to do the very same. Ted is naturally credulous when Jane reveals she has leukaemia, but that it’s now in remission after a recent visit to Swafford Hall, and she’s on the mend. She won’t reveal the exact nature of the miracle that she ascribes her better health to, but instead wants Ted to go there and discover it for himself (she believes a miracle might help him too). Ted agrees to go, but has reservations: Swafford Hall is owned by an old friend, Lord Logan (Modine), from their days in National Service, but their relationship has become strained due to Ted’s recent (mis-)behaviour. Ted wangles an invitation on the pretence of seeing his godson, David (Knight), but once at the Hall he soon discovers that the source of Jane’s miracle – and possibly many others – may be David himself. Ted remains entirely credulous though as the Hall fills up with guests, all of whom have their own secret reasons for being there, reasons that relate to David and his “gift”. But while everyone else seems willing to believe in David as a miracle worker, Ted continues to have his doubts, even when David appears to cure a horse that is so ill it looks as if it will have to be put down. As his visit becomes more and more contentious – the other guests pour scorn on his increasing denial of David as a healer – the arrival of Jane’s mother, Rebecca (Somerville), and a revelatory telephone call casts a different light on proceedings, and Ted begins to piece together the true nature of David’s miraculous nature. 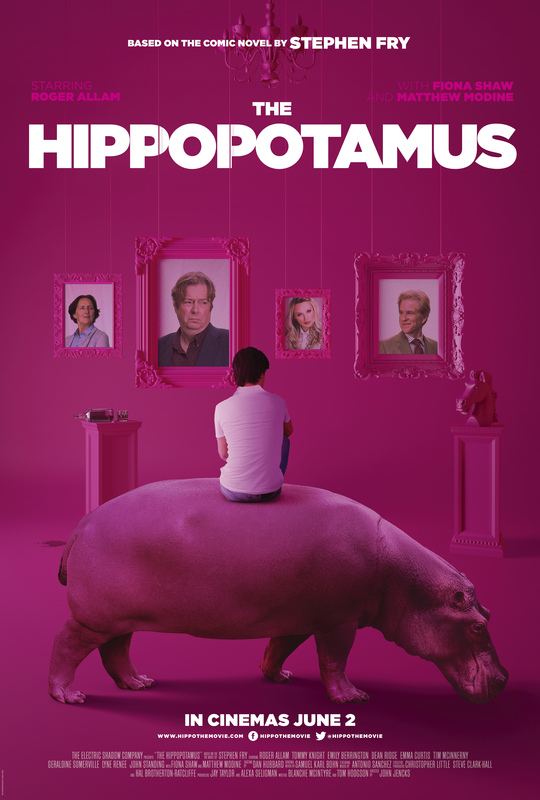 This being an adaptation of a novel by Stephen Fry, The Hippopotamus abounds with literary and poetic references, some of them well known and most of them more obscure unless you’re as well read as Fry is, but while Fry himself has hijacked a poem by T.S. Eliot for his title (and his central character), the screenplay – by Rebecca McIntyre and Tom Hodgson, with additional contributions from John Finnemore and Robin Hill – doesn’t use these quotes in order to be clever, but as a way of exploring the natures and the personalities of its characters. Ted, of course, is prone to making the odd telling quote when riled/pushed/in need of a witty reply to some careless utterance or display of ignorance, but it’s David who excels in his literary endeavours, captivated as he is by romantic poetry in particular. As he gives free vocal reign to his teenage desires through the medium of iambic pentameter, David retains a virginal intensity that (unexpectedly) supports the notion of his being a miracle worker. The script works hard to make it difficult to decide if Ted is right or not about David’s “gift”, and while there is a very obvious clue tucked away in a scene about halfway through, Ted’s determined obduracy over the issue, and his refusal to play the game everyone else is playing, makes his task all the harder. But Ted is a stubborn man, and though he might not be the obvious choice for such a role, his stubbornness allows him to avoid being sidetracked by the glaring needs of the other guests, and the equally glaring need of his goddaughter, Jane. There’s a poem by Rudyard Kipling called If…, one that’s not used by Fry or the script, that observes, If you can keep your head when all about you / Are losing theirs and blaming it on you. That’s Ted in a nutshell, the lone voice in the wilderness who won’t be swayed, even when it may be politic to do so. 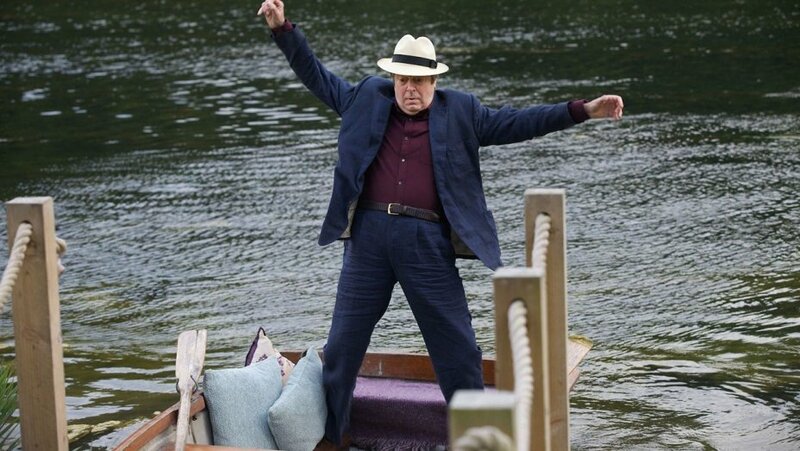 Allam, yet another character actor who can be relied on to give a good performance no matter what the role, plays Ted with a caustic, anti-social charm that is both endearing and objectionable at the same time. When Ted needs to be at his sarcastic, opinionated best, Allam resists the temptation to “go loud” and instead roots his contempt through the character’s disappointment at no longer being able to write any poetry. There’s a great deal of subtlety to Allam’s portrayal of Ted, and it’s hard to imagine anyone else in the role. Allam’s performance is the lynchpin that holds the movie together, and it’s fortunate that he does, because without him the movie would be populated entirely by a group of puffed-up, graceless wonders who barely deserve the viewer’s attention. It’s a shame that so many characters should be so negative and unappealing, from McInnerny’s borderline offensive gay theatre director to Renee’s spiteful, wicked witch mother. The cast are hampered by the script’s determined efforts to avoid giving everyone bar Ted a sympathetic angle, with only David’s mother, Lady Anne (Shaw), coming anywhere close. 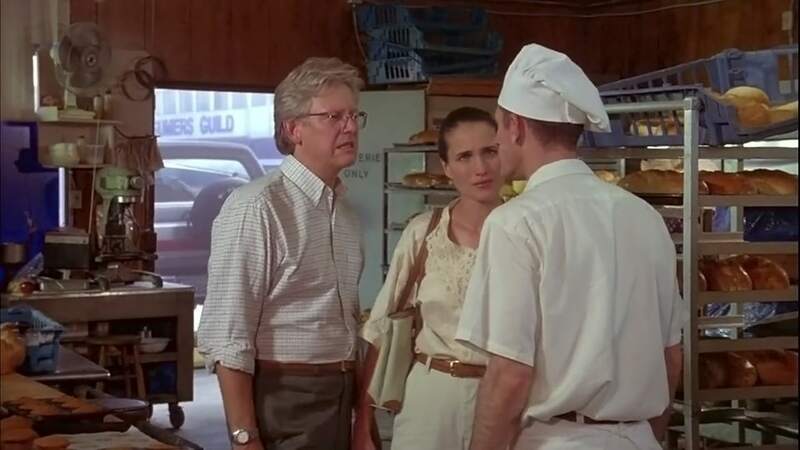 That said, Shaw is wasted in the role, as is Modine as the kind of dyed-in-the-wool grouch who pontificates instead of having a normal conversation. As the potentially “divine” David, Knight is the only other actor given anything of any merit to do, and he tackles the role with an enthusiasm that is unfortunately tempered by Jencks’ direction, which seeks to pigeonhole David as merely a troubled teenager. The plot has the potential to make a number of acidic comments on the landed gentry and their sycophantic followers, and it does so at times, but in such a scattershot fashion that it only allows for the odd pot-shot (courtesy of Ted). Jencks focuses on the mystery of Swafford Hall instead, but then forgets this is also a comedy of manners, and when he remembers that, he forgets that this is also a drama encompassing notions of faith and religious observance. 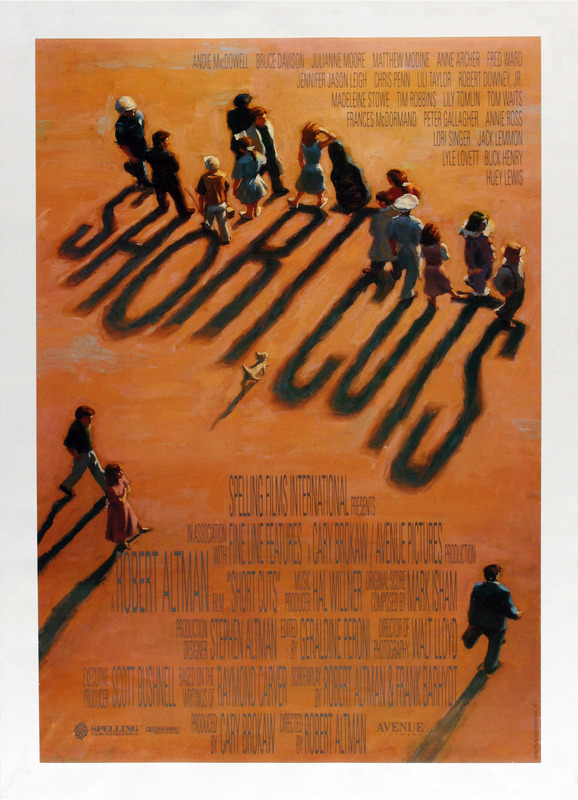 This leads to many dramatic and comedic lulls as the movie takes pause, works out how it should move forward, and then proceeds in an orderly fashion until the next sticking point. Thankfully, the dialogue is there to save the day, and there is a certain one-liner that may well be one of the best heard all year. On the production side, Angus Hudson does a fine job of photographing the beautiful interiors of Swafford Hall (actually West Wycombe House in Buckinghamshire), and the equally splendid grounds. So the movie looks good, even if it feels a little hollow at times, and the required depth sneaks away on too many occasions for comfort. But in doing so, it always leaves the frame free for another of Ted’s acerbic rants – something that it does get right every time. Rating: 7/10 – Allam’s skill as a performer, and Hudson’s skill as a cinematographer, allied to Fry’s knack for a wry quote makes all the difference in a movie that has too many superfluous characters and not enough going on to occupy them; an enjoyable, witty movie for the most part, The Hippopotamus is only partially successful in its aims, and lets itself down by appearing unable to work out just what kind of a movie it wants – or needs – to be.